For the 5 Sundays of Lent and Passion Sunday, the Everyday Stewardship reflection will look at each of the 6 characteristics of an Everyday Steward, as contained in the book of the same name. Check back each Thursday on the Main Thing Blog for that Sunday’s reflection. I had a conversation with my daughter about the responsibility she had to cultivate and give back with increase to God those gifts given to her. She wanted to argue that to just be proficient in the use of those gifts was enough. Of course, she was just 15 at the time and as a typical teenager had no real desire to push much harder than necessary. I don’t think she was ready to understand the value of perseverance and pushing onward to a goal. As she gets older and increases in maturity I pray for her to really become committed to becoming the best she can be at whatever she does, because I know she has been given many gifts. Being committed to growing in maturity as a disciple is an important characteristic of an Everyday Steward. This is a commitment to striving to be better today than we were yesterday, and better tomorrow than we are today. We are also committed to getting back up and trying again when we fail to be the person God created us to be. No one reading this is perfect. No one reading this has achieved a level of spiritual maturity to the point that we make the right call every time. But hopefully many of us are committed to working hard toward spiritual growth. Jesus asks each of us to work hard to become the saints God created us to be, just like he asked the woman caught in adultery in John’s Gospel to go forth and sin no more. He knew she had failed along the way, but to not get up and change her life would be the real sin. It is sin that keeps us from truly cultivating that which we have been given. However, God is committed to us and offers second chances. 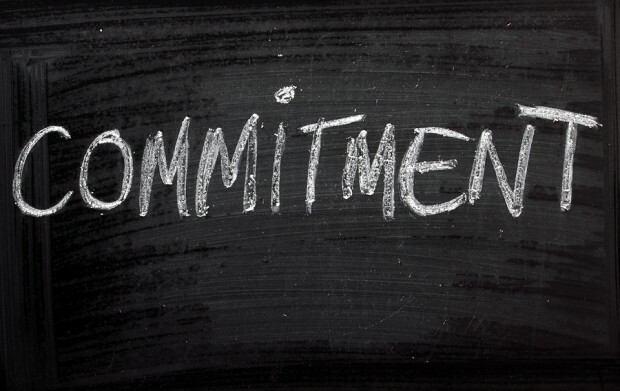 We need to be committed to Him.